In October 2012, the Malawi Farmer-to-Farmer Agroecology project (or MAFFA) was launched by Ekwendeni Hospital (both the SFHC project and Ekwendeni Hospital AIDS Program) in collaboration with Western University, Chancellor College (University of Malawi), the University of Manitoba, Presbyterian World Service and Development, Canadian Food Grains Bank and Cornell University. The project uses farmer-to-farmer teaching about agroecology, nutrition and local food market development to improve food security, nutrition and livelihoods of over 6000 farm families in Malawi over five years. Food insecure women, men and youth will learn from fellow farmers about ways to sustainably manage their soils, increase diversity and amount of food and improve young children’s nutrition through the project. Farmers and youth are also developing local food enterprises to improve incomes and boost local rural economies. The project takes place in two main locations: northern Malawi in Mzimba District, north of Ekwendeni; and Dedza District, in central Malawi. The Government of Canada, through the Department of Foreign Affairs, Trade and Development, is supporting this project. Objective 1: Agroecological methods to improve food security, nutrition and soils: Improve food security, nutritional status and sustainable agricultural practices of 6000 farming households in central and northern Malawi. 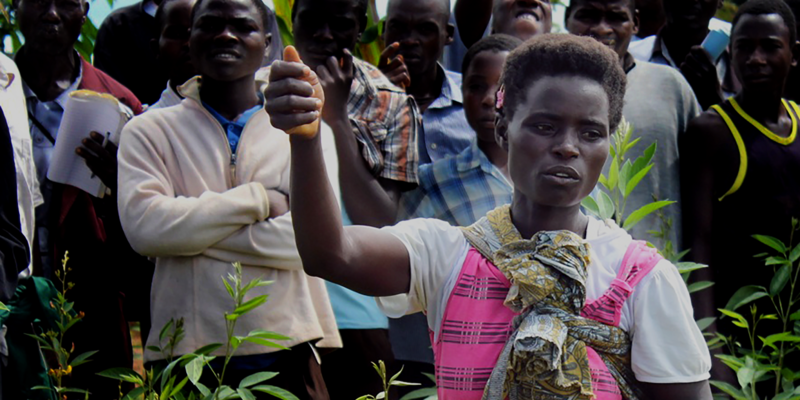 Objective 2: Participatory, farmer-to-farmer model: Test the potential for a farmer-to-farmer model of education for scaling up use of agroecological methods in Malawi. Objective 3: Local orange maize: Determine the potential for local orange maize varieties as an acceptable socio-economic, cultural and biological option to improve the vitamin A content of diets in Malawi. Objective 4: Youth and farmer livelihoods: Extend the agroecological, participatory approach to youth and farmer livelihoods, by using participatory training methods in food processing and local food market development to improve food security, dietary diversity and income for 200 youth and a farmer association. Objective 5: Gender Equality: Women from participating households have greater access to resources and increased decision-making power over agriculture, food security and income.